Soft Tissue. You hear us talk about it all the time, but what exactly is it? In this blog, we cover soft tissue, common injuries, and treatments we provide for soft tissue damage. 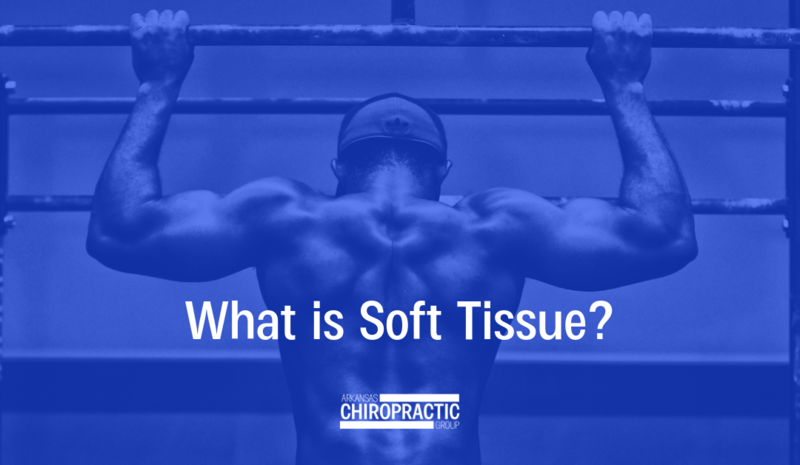 Soft tissues are the smaller fibrous tissues in your body that make up muscle, fat, tendons, and even skin! Different than bone, soft tissue is made to stretch and pull; however, abrupt force to your body can overextend and tear soft tissue. Specifically, the ones that hold your muscles and tendons together. When we think about injuries and pain due to the abrupt force of a car accident, we typically think of fracturing or breaking of bones, pinched nerves, or externally visible injuries. Many car accident victims can easily overlook internal injuries which are oftentimes harder to recognize. These injuries are commonly related to soft tissue damage and can take as long as 3-4 days after an accident for post-accident symptoms to appear. It’s extremely common for or somebody to be in a car accident and then find themselves in severe pain the next day despite not actually breaking anything. This is due to what is called a soft tissue injury. Like Captain America, you may find yourself sore and not wanting to stand up due to a soft tissue injury; fortunately for you (and Captain America), our specialists here at Arkansas Chiropractic Group are trained in treatments specially designed to help repair soft tissue injuries. We will have you (and Captain America), back to action in no time! Our doctors specialize in chiropractic medicine to treat back pain, neck pain, migraine headaches, and other common injuries suffered by those who have been hurt in a car wreck. We offer various therapies to accompany your chiropractic treatment, including massage therapy by a licensed masseuse. Therapy, especially for muscle, joint pain, and soft tissue injuries can provide pain relief by decreasing inflammation and increasing blood flow, which helps the healing process. Therapy treatments include ultrasound, muscle stimulation, spinal decompression, traction, thermal therapy, and exercise therapy. Pain is not something you should have to deal with, especially when we have treatments that can take care of it for you. Call today or schedule your appointment online.